A bipartisan group in Congress wants to make it harder for you to do taxes | "Global Possibilities"
Congress is set to pass one of the most blatant pieces of corporate welfare in years. Only one day left to stop Congress from deliberately screwing you over. The IRS could prepare taxes automatically for the vast majority of Americans for whom it has all the required information. The bill, Elliott reports, would bar the IRS from the much more moderate step of creating software that competes with TurboTax. But barring a larger movement to kill or amend the bill, the provision is headed for passage. It should not pass. It is a huge scandal that Congress has not yet instructed the IRS to automatically prepare taxes for the vast majority of Americans. The IRS has all the information required to do that for all but a few taxpayers, and the main reason it hasn’t to date is lobbying by companies like TurboTax and H&R Block. Banning the IRS from offering an equivalent product to those companies for free would hurt consumers, provide no social value, and purely serve to increase ill-gotten rents for two of the most pointless companies currently involved in American capitalism. There is no excuse for Congress passing this provision. In a way, creating a free online tax preparation program, as this bill would ban the IRS from doing, is the absolute least the federal government should be doing for you. There is little preventing the IRS from preparing tax returns on its own for most Americans. The actual work of doing your taxes mostly involves rifling through various IRS forms you get in the mail: W-2s listing your wages, 1099s with miscellaneous income from contract work or one-off gigs, and so on. To fill out your 1040, you gather all these together and copy the numbers in them onto the 1040 form. The main advantage of TurboTax is that it can import these forms automatically and spare you this step. But here’s the thing about the forms: The IRS gets them too. When Vox Media sent me a W-2 telling me how much it paid me in 2017, it also sent an identical one to the IRS. When my bank sent me a 1099 telling me how much interest I earned on my savings account in 2017, it also sent one to the IRS. If I’m not itemizing deductions (like 70 percent of taxpayers), the IRS has all the information it needs to calculate my taxes, send me a filled-out return, and let me either send it in or do my taxes by hand if I prefer. This isn’t a purely hypothetical proposal. Countries like Denmark, Sweden, Estonia, Chile, and Spain already offer “pre-populated returns” to their citizens. The United Kingdom, Germany, and Japan have exact enough tax withholding procedures that most people don’t have to file income tax returns at all, whether pre-populated or not. California has a voluntary return-free filing program called ReadyReturn for its income taxes. And there are serious plans for adopting this idea nationwide. Austan Goolsbee, former chief economist for the Obama administration, designed a proposal called “The Simple Return” in 2006 that would provide pre-populated returns for everyone not itemizing their deductions. You could even conceivably extend it to many itemizers; mortgage lenders already send out 1098 tax forms listing interest paid over the year, and the IRS could mandate that charities do the same for tax-exempt contributions. We envision a system where more than half of us would not even have to fill out a return. We call it the return-free system, and it would be totally voluntary. If you decided to participate, you would automatically receive your refund or a letter explaining any additional tax you owe. Should you disagree with this figure, you would be free to fill out your taxes using the regular form. We believe most Americans would go from the long form or the short form to no form. The proposal would be particularly good for low-income Americans eligible for the earned income and child tax credits, which are both refundable and offer substantial benefits to low-income taxpayers who file. But because you have to file, compliance isn’t perfect. Twenty percent of people eligible for the EITC don’t get it, and a big fraction of returns contain errors, usually because of the complexity of the credit and due to errors by commercial tax preparers. Automatic filing would provide EITC payments to many of that 20 percent not getting them, and would spare taxpayers from doing complex calculations that sometimes lead to errors. Grover Norquist wants your taxes to be complicated. [In 2007] a bill to limit return-free filing was introduced by a pair of unlikely allies: Reps. Eric Cantor, R-Va., the conservative House majority leader, and Zoe Lofgren, D-Calif., a liberal stalwart whose district includes Silicon Valley. … In 2005, California launched a pilot program called ReadyReturn. As it fought against the program over the next five years, Intuit spent more than $3 million on overall lobbying and political campaigns in the state, according to Dennis J. Ventry Jr., a professor at UC Davis School of Law who specializes in tax policy and legal ethics. 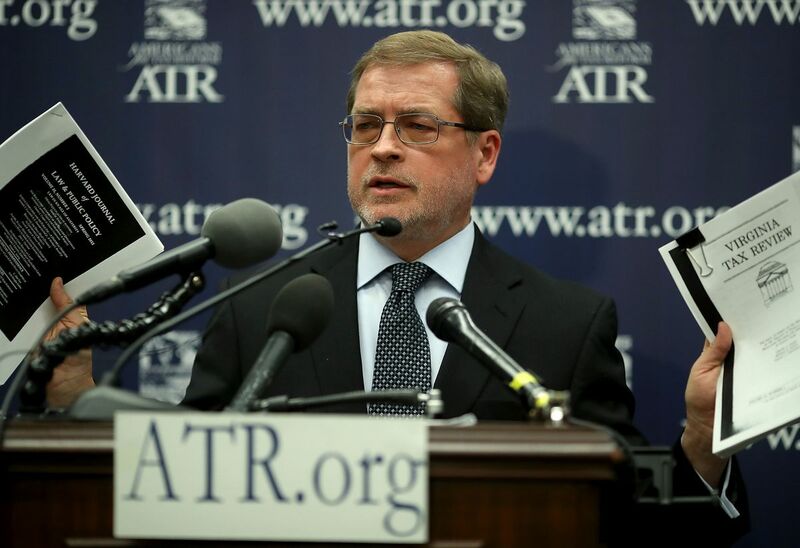 In this, Intuit and other tax prep companies had a powerful ally: Grover Norquist. The anti-tax crusader vehemently opposes automatic filing on the grounds that it makes tax season insufficiently nightmarish, which might reduce people’s aversion to taxes and make it easier for politicians to pass tax increases. So even though Reagan himself supported automatic filing, Norquist has helped make the idea dirt in the eyes of conservative legislators. Tax preparation is not something the government needs private sector assistance with. It’s, by its nature, an entirely public sector activity. 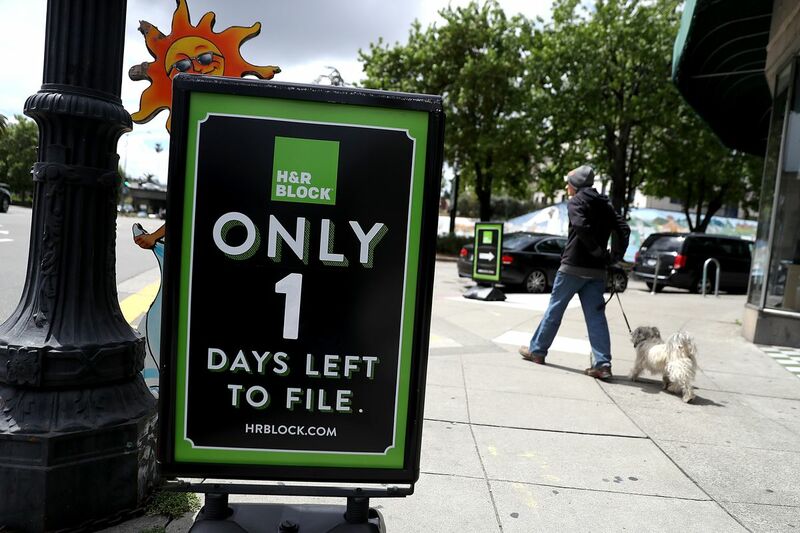 Congress should ideally pass automatic filing legislation that puts H&R Block and Intuit’s tax division out of business. But until that happens, blocking the Taxpayer First Act is the absolute least Congress can do.